It was a first for Peaceful Heart Alpacas, two alpaca crias born within half an hour of each other. Monday morning was busy around here. Ephraim’s sire is the impressive Snowmass Casanova’s Arch Angel. 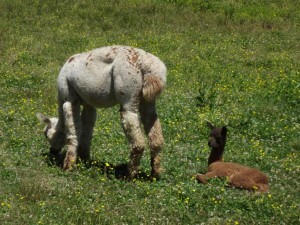 Ephraim was up and nursing within 30 minutes, and running circles around the pasture within an hour of birth. He’s got a beautiful tightly bundled fleece with an incredible brightness. At 10:30, Sugar Cookie decided that 376 days was plenty to be pregnant and she couldn’t wait any longer. 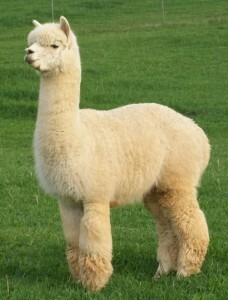 She also delivered a little boy with incredible fleece. His density is fabulous. 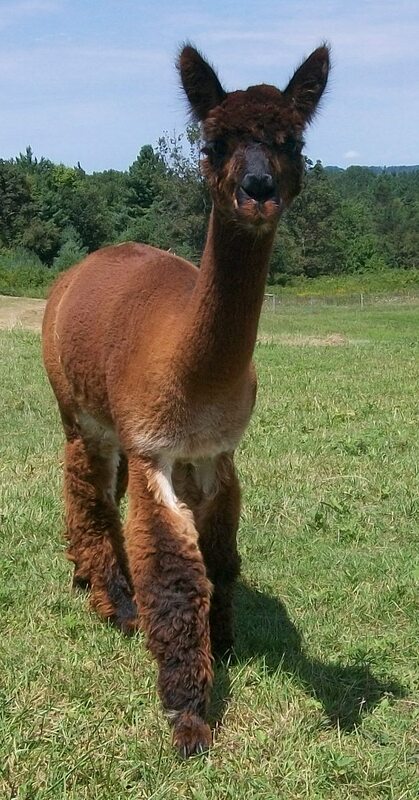 Sir Galahad’s sire is Lord Tennyson, and he is as beautiful as his full sibling Milton. 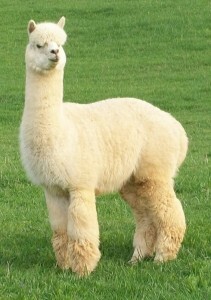 He appears to be beige with a tiny brown spot on his neck, and a black spot inside his ear. Galahad wasn’t as perky as Ephraim right after birth, so we have moved him and Sugar Cookie to the barn to let him settle into farm life slowly. Today he has been up and kicking his heels around the stall, so he should be joining the other crias soon. 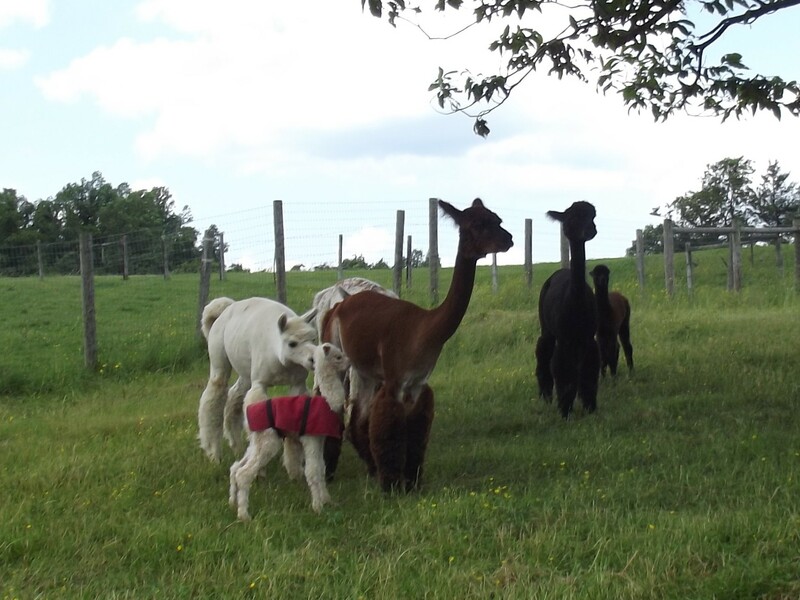 Lady Clare and Gryffyndor are thrilled to have the company around the pasture. We invite you to come and visit them all. We have three great fiber art classes coming up during the next month. No fiber art experience is needed for any of the classes. Come and learn what beautiful things you can create with alpaca fiber. Class sizes are limited, so sign up today. June 29-July 1, we have our popular week-end Weaving on the Triangle Loom class. 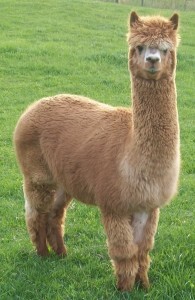 Join us to create your own beautiful alpaca shawl. You can learn more on our Weaving Class page. 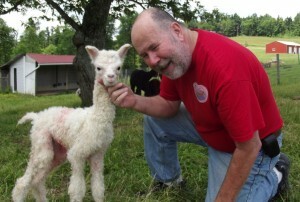 July 7, we have a brand new wet felting experience to offer. 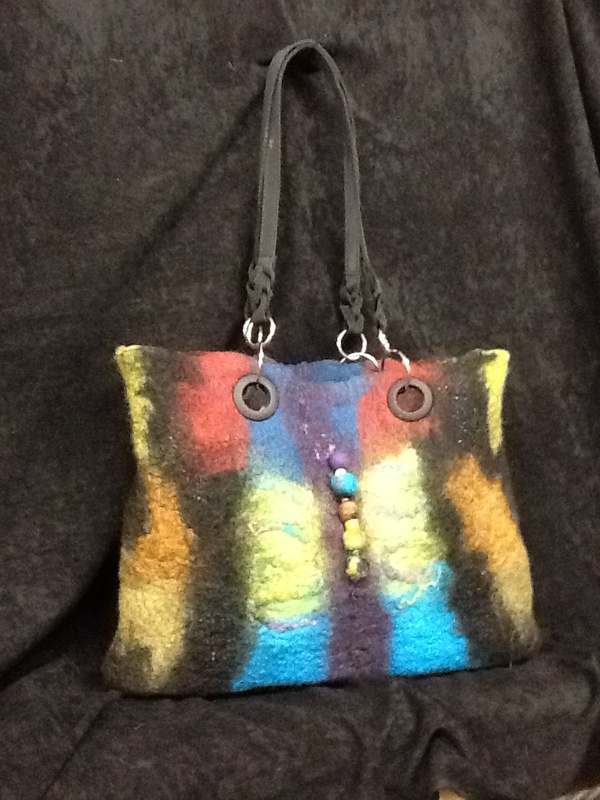 During this day long class, we will create a beautiful felted totebag. These are bigger than the purses we make in our regularly held felted purse classes. The tote will be approximately 12″ by 16″. July 21, we will be offering our rescheduled Felted Wall Hanging and Hand Dyed and Felted Scarves class. You can read more about these great classes here. You can register for any of these classes online , at the farm, or by giving us a call. 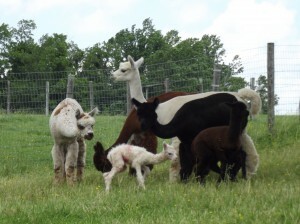 Our lovely Pirate’s Treasure gave birth this afternoon. We walked out and found our sweet surprise in the grass. 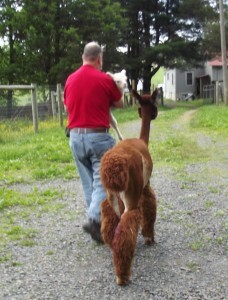 Lady Clare was soon on her feet and nursing, and surprised us again with how quick she was running around the pasture. All the girls came over to greet her. Gryffyndor didn’t know quite what to make of her, so took off running and hid behind his mama. I’m sure they’ll be playing together soon. Lady Clare’s sire is our impressive Lord Tennyson. 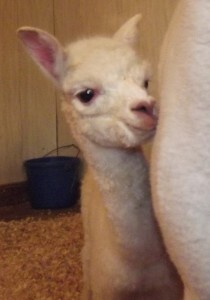 She is our first girl out of Tennyson, and we are thrilled to see how beautiful she is. Lady Clare’s dam is Pirate’s Treasure, a lovely daughter of two of our previous alpacas, Snow Crystal and Tropical Pirate. The weather has been a bit windy and unpredictable, so we took Lady Clare and Treasure into the barn briefly to weigh Clare (she is a small girl at 13.4 pounds, but within the normal birth weight for an alpaca). We’ve put a cria coat on her for her first day, but tomorrow should be warm. 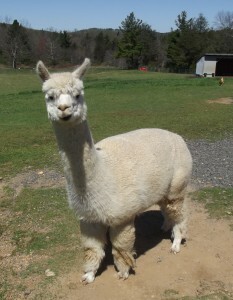 Come on by the farm to visit with Lady Clare and Gryffyndor. 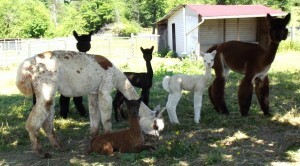 We have a couple more crias due soon.